As monsoon picks up and tourist activities cease on the shoreline, football enthusiasts have started to throng Goa beaches turning them into mini football ground. 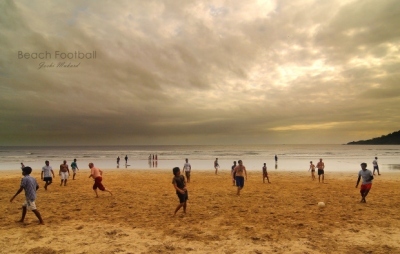 During monsoon, the temporary beach shacks are dismantled and commercial activity on the seashore ceases, leaving the entire coast for the soccer lovers to take over by dusk for playing Goans favourite game. "Christmas in Goa is not complete without Hindus, and Chovoth without Christians"
What pains Chennaiyin FC if Dempo is VP of AIFF?